When they began back in 1992, Japanese metal band Boris never expected that they’d still be around 25 years later. Few bands last that long, and even fewer manage to do so while maintaining the same lineup. 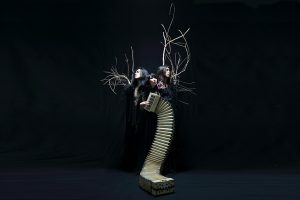 Yet since their inception, the Tokyo heavy rock/metal trio have constructed an intricate web of studio albums, plus collaborative releases with the likes of Sunn O))) and Merzbow, that have made their catalogue not just bountiful, but complex—even mysterious. As they headed toward the release of this year’s Dear, they were confronted with the complicated responsibilities of personal lives outside the band; they began to question whether Boris had a future beyond the quarter-century mark.